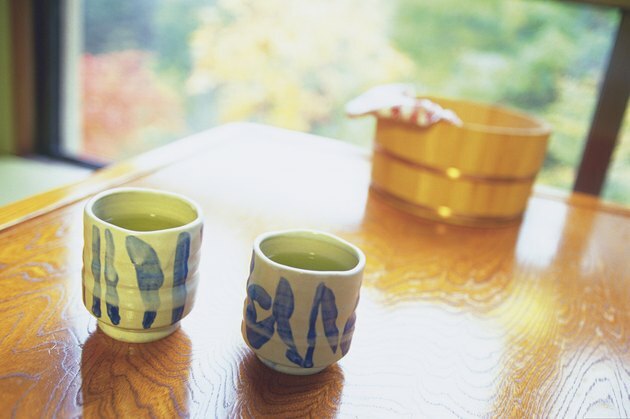 If you're struggling to lose weight, drinking hot water might help. Drinking water can help you eat fewer calories, and some researchers think it may also help boost your metabolism. But you don't want to rely on drinking hot water as a miracle fat-burner. To burn fat, you need to eat less and move more. According to a 2008 review study published in Obesity, drinking water helped people lose weight without having to follow a special diet or exercise program. Water consumption, especially before meals, may help you lose weight by increasing satiety so you eat less. It's also been theorized that water consumption may play a role in boosting your metabolism, according to a 2009 review article published in Eating Behavior. Research has not been conducted to test this theory, however. Sipping on a mug of hot water may help you lose weight, and burn fat, by altering your behavior. Helpguide.org suggests that when trying to lose weight, you should slow down and be more mindful of what you're eating. It takes more time to sip a cup of hot water than guzzle a glass of cold water, which may help you slow down and be more tuned in to your hunger. Sipping on hot water may not only aid in your weight-loss efforts, but it may also help keep you hydrated. While your water needs may vary depending on what you eat, your overall health and daily exercise routine, most adults need 8 to 12 cups of water a day to maintain fluid balance, according to Clemson Cooperative Extension. Staying adequately hydrated also aids in hunger control, reports the U.S. Public Health Service Commissioned Corps. While drinking hot water may help you burn some fat, to lose weight you need to create a negative calorie balance by eating less, burning more calories through exercise and activity or a combination of both. But if it's fat you want to lose, you're better off losing it slowly at a rate of 1 to 2 pounds a week, says FamilyDoctor.org. Fast weight loss may mean you're losing water and muscle, not fat.